Shadows is well known for its ease of use. Thousands of people use Shadows worldwide. 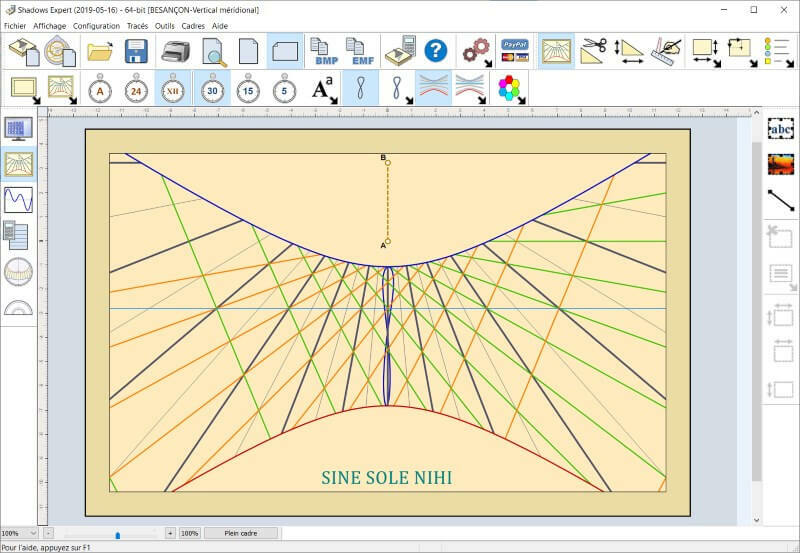 Read their testimonies and view the sundials they made with Shadows. Shadows in its basic level is free. It comes with a powerful set of functions and a fully illustrated user manual. 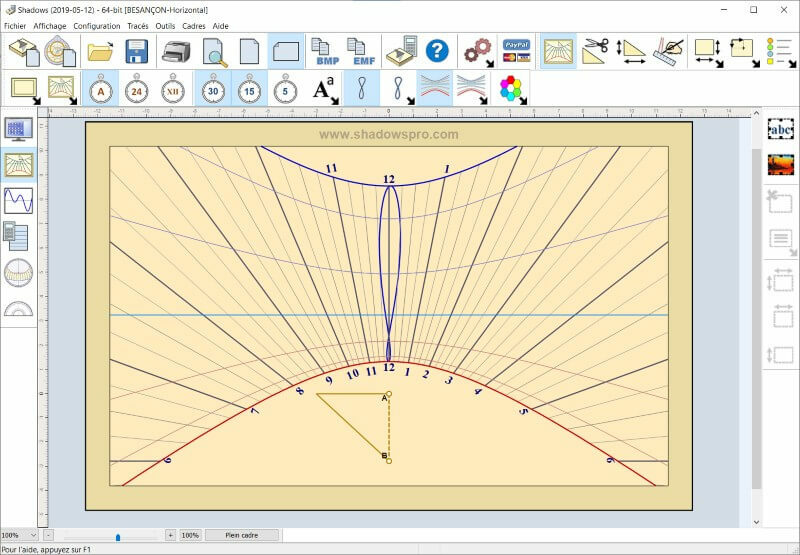 Shadows Expert is a level dedicated to people who want to access to more advanced functions in the program. 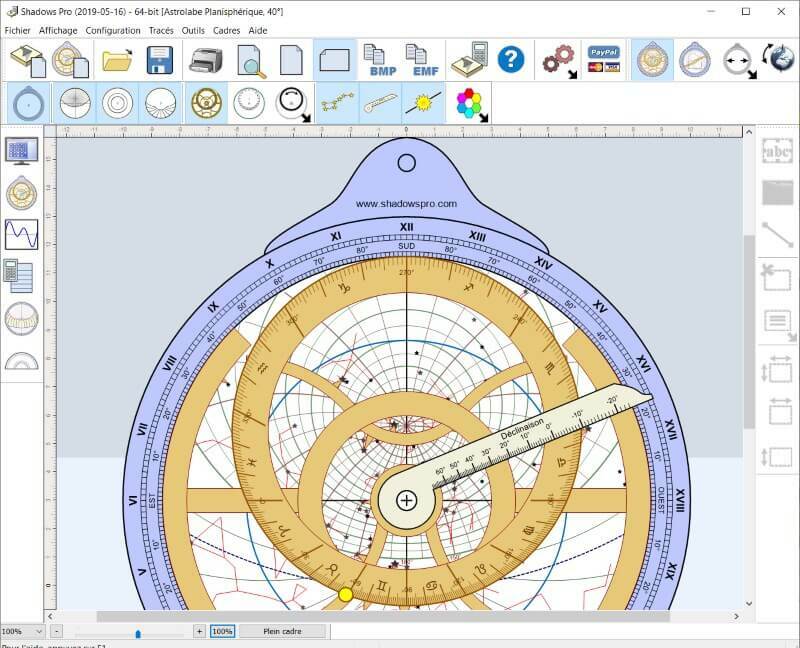 Shadows Pro is the most advanced level and is made for professional sundial makers and power users interested in astrolabes. User interface translated in 17 languages. 1 requires to purchase the box version.